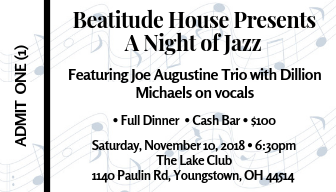 Featuring the Joe Augustine Trio at the Lake Club, Sat. Nov. 10th from 6:30 – 9 P.M. Enjoy a full dinner at the Lake Club with soothing Jazz music. The evening will feature the Joe Augustine Trio with Dillion Michaels on vocals.